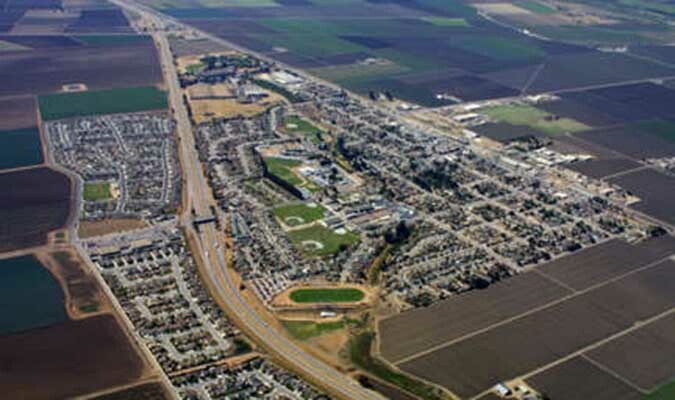 Located at the heart of the 90-mile long Salinas Valley, 17 miles south of Salinas and 29 miles north of King City, Gonzales is shadowed by the Gabilan Mountains to the east and San Lucias to the west. While the city was incorporated in 1947, its roots date back to 1872 when Southern Pacific Railroad laid tracks through the area. Sharing in Salinas Valley’s rich soil, agriculture remains the predominant industry in Gonzales. The row crop method of farming began in 1930 and the land surrounding the city still grows lettuce, strawberries, broccoli, asparagus, cauliflower, celery, and grapes. A number of agricultural related industries are also found in Gonzales, including winery services and packing companies. In recent years, Gonzales has been elevated to the status of the “Wine Capital of Monterey County.” The population of Gonzales has doubled in the last ten years and the community is poised for future growth. Residents are afforded every amenity. Centennial Park provides youth baseball fields as well as a public pool, while Central Park offers picnic grounds, playground, sand volleyball pit, barbecue areas, and basketball courts. In addition, Meyer Park offers many amenities including a collegiate-size soccer field.